You asked for it so here you go! New orders for the Writing A Great Script Fast Workshop are now shipping on USB sticks. The Workbook stills comes as a book. The 20 DVDs are higher resolution, and you can still request the DVDs, by emailing me right after you order. "Filmmaking Script To Screen Step-By-Step" will present a whole new way to make a living as a writer and filmmaker, using all of the tools available today on the internet. 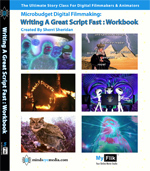 The information from the now out of print book "Developing Digital Short Films," will be combined with the "Writing A Great Script Fast Workshop." New story breakdowns include Avatar, Harry Potter, Breaking Bad, Downton Abby, Good Wife, Sons Of Anarchy, Mad Men, 300, Homeland, Frozen, Jurassic World and many more. This book will also cover how to self-publish a novel perfect for a future film deal, and how to use that momentum to get your film crowd funded on websites like Kickstarter. Choose between ebook, color, or black and white print versions. Example movie clips referenced in the book will be posted on MyFlik.com with teaching plans. New MyFlik Story App Coming Soon! Are you a teacher in the USA interested in using this book in your class? Email me for more information on joining the teacher feedback team and get an advanced copy for free. Please put "Teacher Feedback" in subject line. A big hello to all the amazing film teachers we met this year at the UFVA Conference in Bozeman this August. Thanks for your feedback on what you want in the new book. Sherri taught a workshop on Saturday called "Teaching Visual Storytelling Fast Step-By-Step." MyFlik also had a booth and gave out lots of free copies of the new book to film teachers for feedback. Please send any early feedback tips to Sherri. I have been getting lots of requests for deals on the WAGSF Workshop. Save 75% off of the $430 Amazon price for a limited time. This is the lowest price ever. Great gift for any writer or filmmaker! Do you want to be a filmmaker? Make a Film! "Make a piece of NITRO that you throw in the audience's lap and someone will notice!" says Quentin Tarantino. What great advice! Listen to some of the top directors tell you to just make a movie if you want to be a filmmaker. You do not need to wait to get your project funded - just make a movie - it's almost free now. I would focus on the story first too. You could shoot one scene from a feature script a week with your friends on the weekend. Do the Writing A Great Script Fast story development process first to make sure your script works. Everything else usually falls into place with a great script. Boring scripts are like those "waves" of bad films the directors in this movie talk about below. Your script needs to be DYNAMITE! 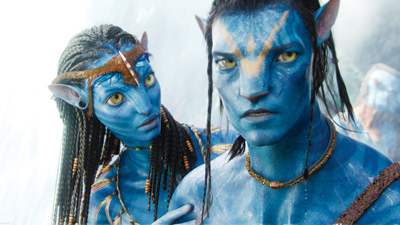 Avatar is the new Star Wars for this generation of digital filmmakers. The visual fourth wall has just been shattered inviting the audience to now be in the film they are watching during a 3D IMAX type viewing experience. As a filmmaker and writer, you now have to consider things like Z depth, and how your story can literally reach out and grab the audience from the screen in full 3D glory – every scene. New Article from the big April 2010 NAB edition of Student Filmmakers Magazine. New Version Of MyFlik Going Up! Welcome to MyFlik your online microbudget movie studio and free film school. We help you to develop, fund, produce, market and distribute digital films and animations. This site is still under construction, but feel free to look around and see what is coming up next. 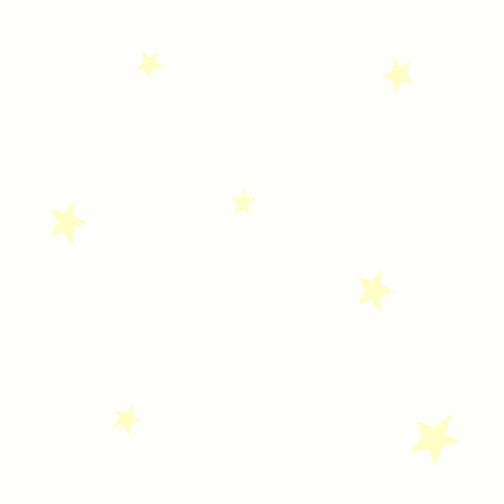 MyFlik's new website is doing a bunch of things that have never been done before, taking a little more time than we had planned. New phase coming soon! A new series of articles by Sherri Sheridan on story for digital filmmaking began appearing in Student Filmmakers Magazine in March 2009. This new preproduction and screenwriting series will continue throughout the year. The first one was "10 Tips For Great Dialogue" and the big anniversary NAB April issue "40 Plot Points For A Feature Film." Coming soon the whole 20 hour story development process from the new workshop will be posted online as an interactive point, click and enter story engine. Video downloads in Quicktime of the entire workshop will also be available. This amazing new interactive tool will help you to create a great script fast online in a snap! Free Writing A Great Script Fast classes were a huge hit at the DV Expo! A big thanks to everyone who came by, visited our booth and got the new DVD workshop. Sherri recently did a month long story teaching tour throughout China with lots of new movies coming soon from this inspiring trip. The country of China is now using the new step-by-step process from Writing A Great Script Fast in their film schools and production companies as their new main story class! Plot Points for a basic feature film explained in 10 minutes! Think of one big unexpected twist that happens in the middle of your story to shift the main character(s) plot goal. Then add any little twists you can create to each scene for a series of surprise reversals. Use the twist list in the movie below to brainstorm some twist ideas for your story. 15 Hero Journey Plot Points explained in 10 minutes above or on YouTube from Writing A Great Script Fast. First Person To Buy Writing A Great Script Fast Sells Screenplay For $600,000! Way to go! Read about his screenplay deal and other Writing A Great Script Fast success stories here. Welcome to all the new Chinese filmmakers and animators! The Chinese version of Developing Digital Short Films was published in March 2009. 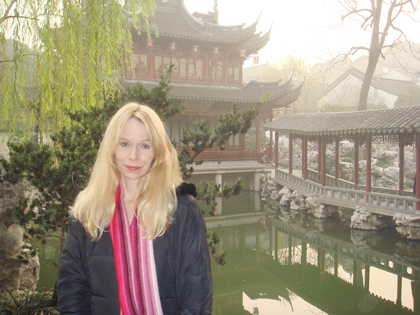 A country wide story teaching tour throughout China took place in 2007 and 2008 by Sherri Sheridan. China chose Developing Digital Short Films for their official story, screenwriting and film textbook. Many schools and filmmakers across China are now using the story process from Writing A Great Script Fast, and Developing Digital Short Films, to make films millions of people want to watch. 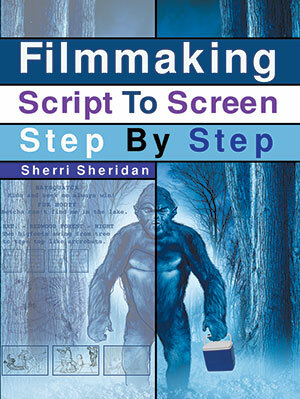 New version coming soon of this visual story process book called Filmmaking Script To Screen. A new story app using this step-by-step process is also in the works. Thanks for all the emails! Please keep in mind that I do not speak Chinese and get them translated first if you need a reply. Adding simple special FX shots to your film idea will make it stand out if you can plan the story around them visually in a fresh way. How to blow things up, makes things disappear, add lips to objects and how to pull the perfect bluescreen with software file examples. New Series of Articles coming this fall in Student Filmmakers Magazine. Longer versions of each article will be posted on MyFlik.com with extra FX story ideas. What is the cheapest and easiest type of feature film for one person or a small team to make these days? I would say a highly stylized 2D animated Southpark looking cartoon. Why? 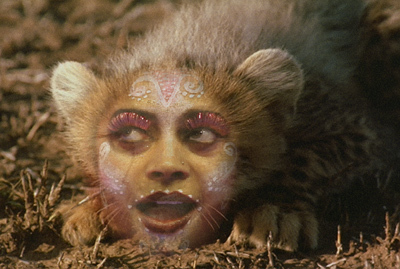 Because no one can say it does not look right or real. New Articles coming soon in the big April 2010 NAB edition of Student Filmmakers Magazine! Longer versions of each new article will be posted on MyFlik.com soon with videos. Do You Want To Learn How To Write A Great Script Fast? Story is the hardest thing to learn for most digital filmmakers these days since the technology has become so easy to use and inexpensive. How would you like to write a great script in about 24 hours while learning almost everything you need to know to tell brilliant visual stories for the rest of your life? Check out the free sample 94 minute screenwriting class here. Follow along and create a great film or story idea fast! Download the Workbook PDF file or DOC file to edit. You can also use a notebook or paper and the Online Workbook or watch it in 20 Steps. Click here for more information about this DVD workshop and our new sale! Individual Workshop DVDs are now available for purchase on Amazon.com. Video Downloads for the full 20 hour workshop are posted in the Downloads. Minds Eye Media is now in the preproduction phase of "The Bigfoot Shamans." Based on the example story from the best selling book "Developing Digital Short Films," and the new DVD workshop "Writing A Great Script Fast," both of which are being used to develop the story. 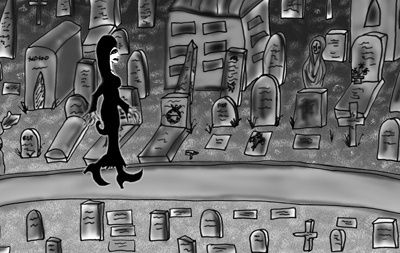 Follow along online at MyFlik as we write the final script and create a series of evolving animatics for this new HD 3D animated supernatural feature tale. We will be using Photoshop to create the storyboards, Adobe Premier for editing the animatic, Maya for the 3D animatic and After Effects for the compositing. Check out the new trailer for MDot's new 3D Film! MDot is a big fan of the writing process and idea generation tools from Developing Digital Short Films and the Workshop. Notice the preproduction book he has created. This is a great idea for promotion and revenue. This 3D film was made using Maya and ZBrush. Do you want to make a short or feature film? What ideas do you want to communicate? What is the goal of this project? Learn how to include themes in your films and stories in this free sample movie from the new step-by-step "Writing A Great Script Fast" DVD Workshop. What themes are you interested in developing in your stories? Over 25 Character Identification techniques from the new Writing a Great Script Fast DVD Workshop. If viewers do not like or care about your characters, they will not want to watch your film. Developing Digital Short Films a digital story textbook for 1000's of schools around the world!